I can't resist Chinese take-out! I mean, who can? It is so easy to place an order and swing by to pick it up after a long day when you don't really feel like cooking. The thing is, Chinese take out can add up pretty quickly! 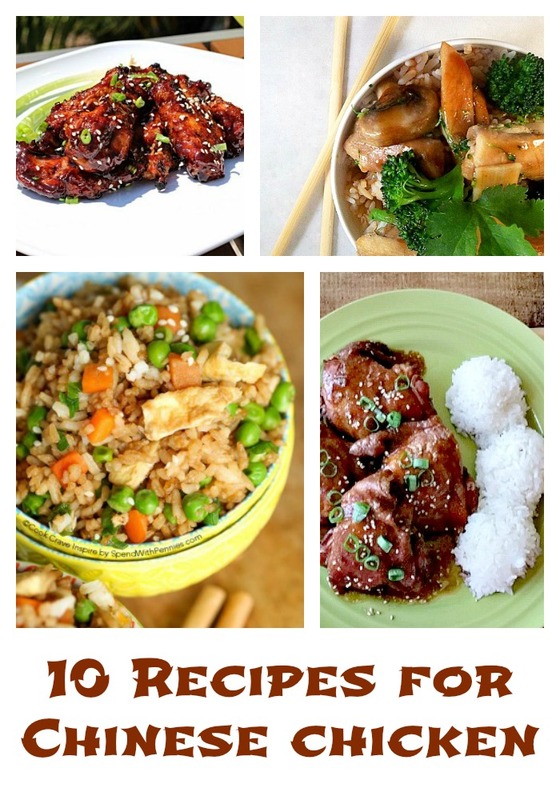 Luckily for my family, I found 10 scrumptious recipes for Chinese Chicken at home, so we can have that take-out taste at a fraction of the cost and with minimal efforts! Which of these recipes do you want to try first? Peanut Butter Chicken is a go to dinner at my house on long days when something amazing is needed for dinner. I can't wait to try the Shoyu Chicken recipe, maybe this week! Those PF Change Lettuce Wraps are always a go-to for us! Looking forward to trying the Peanut Butter Chicken...I mean, how can you go wrong! Great share, thanks! !